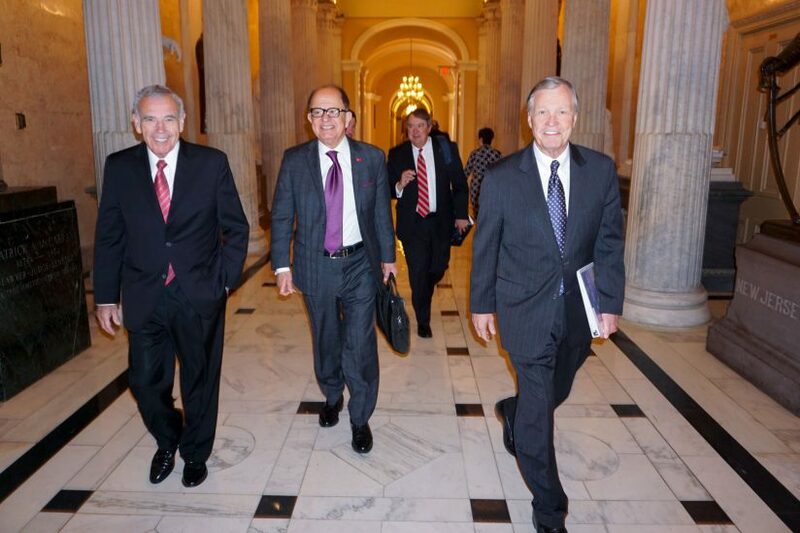 USC trustees join Nikias in meetings with lawmakers in D.C. The trustees and administrators discussed issues ranging from quantum computing to DACA students. 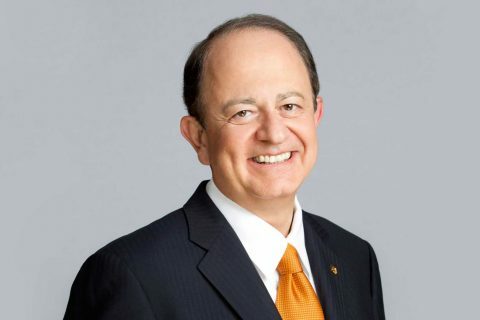 Led by President C. L. Max Nikias, a delegation of 13 USC trustees and university administrators went to Washington, D.C., this week for the university’s annual visit to the nation’s capital. 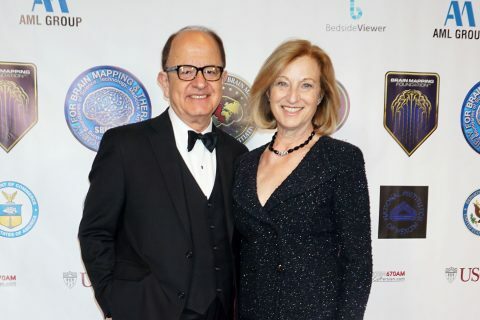 The visit kicked off Tuesday evening with a reception hosted by Nikias and his wife, Niki C. Nikias, for 500 alumni, parents and special guests including friends of the university and elected officials. The following morning, the delegation members regrouped at the headquarters of The Washington Post, where they were welcomed by USC Trustee Fred Ryan, the Post’s CEO and publisher. Like last year, national political reporter Robert Costa gave an update on the issues driving the political climate here, and shared insights into some of the Post’s recent reporting, including a series that won the outlet a 2018 Pulitzer Prize. The delegation then split into two groups, led by Nikias and USC Provost Michael Quick. In total, the delegation visited 12 representatives and senators, split about evenly between both sides of the aisle. One area of discussion that drew broad agreement and interest was the need to place greater national priority on quantum computing, a field in which USC is an international leader. The technology that has the potential to transform the world in unimaginable ways, revolutionizing everything from code breaking and climate modeling, to medicine and defense. 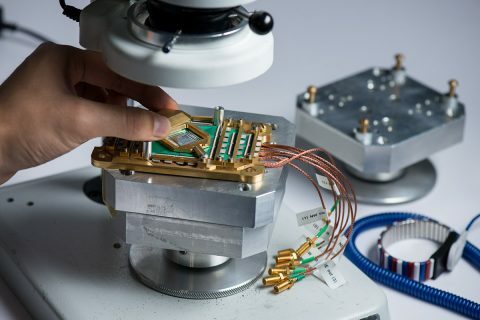 Lawmakers agreed that a national quantum computing strategy needs to be developed, providing USC with an opportunity to build on its existing strengths in this area. Quantum computing will be game-changing in the same way the Sputnik I launch was in 1957, or the advent of the commercial internet in the early 1990s. With a number of lawmakers, Nikias and Quick both expressed their support for DACA recipients and in particular students, who face a host of additional pressures as a result of the uncertainty over their immigration status. The USC leaders also stressed to the legislators the importance of federal funding for research and student financial aid. In addition to the Nikiases and Quick, the delegation included USC Trustees Christopher Cox, Suzanne Dworak-Peck, Kathy Leventhal, Bruce M. Ramer, Edward P. Roski Jr. and Jeffrey H. Smulyan; Senior Vice President Tom Sayles and Associate Senior Vice President David Brown; Dean Amber D. Miller of the USC Dornsife College of Letters, Arts and Sciences; and Dennis Cornell, Nikias’ chief of staff. The university is proving the promise of the revolutionary new technology that could solve major challenges in the near future. The new processor will be used to investigate the possibilities of the advanced technology on real-world problems. The university’s president receives the Humanitarian Award of the Society for Brain Mapping and Therapeutics.